When most people think of work injuries, they think of things like broken bones from a fall or illness from toxic exposure at work. While these types of work injuries do happen far too often, the most common work injury would likely come as a surprise to many. The most common work injury which is suffered by employees is actually hearing loss! If an employee experiences hearing loss due to exposure to excessive noise at work, the injured worker should be entitled to medical benefits and other workers' comp coverage. Actually getting these benefits can be complicated, though, because it is difficult in some cases to prove that hearing loss can be tied to the job. An Atlanta workers' comp lawyer can provide help in proving workplace hearing loss occurred. CNN reported recently on the problem of hearing loss on-the-job. According to CNN, there are around 22 million workers throughout the United States who are being continually exposed to "hazardous levels of occupational noise.Those in the mining industry face the biggest noise exposure problem of any field. Construction and manufacturing are also industries where workers are exposed to high levels of noise. When these workers are exposed to noise, permanent damage can result. The costs associated with losses resulting from this permanent damage are extensive. Around $242 million is spent on workers' compensation benefits each year to provide benefits to employees who suffer from hearing loss. The costs are very high because a worker exposed to excess noise often experiences more serious problems than just not being able to hear as well as he used to. CNN, for example, reported on one man who spent 32 years in construction before the damage to his hearing became so extensive that he could no longer work at all. The man began to experience a pressure behind the ears, but this escalated into very serious hearing problems which are attributed to years of his exposure to noise. Virtually any sound now can cause piercing, jabbing pains in the man's inner ear. 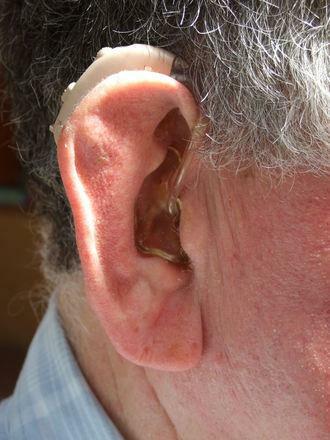 He also experiences ringing in the ears and other complications.The problem is so bad, the man is not able to work and spends much of his days in his soundproof basement where he can try to lessen the pain. His story is one which is far too similar to many other miners, construction workers, and those in industries where they are routinely exposed to noise. CNN reports that efforts are being made to solicit ideas to fight the problems of workplace hearing loss with new technologies. However, many safety advocates argue that the problem isn't a lack of technology but instead is a problem of standards which set permissible noise exposure levels too high. If this is the case, workers will continue to suffer serious harm on-the-job unless and until noise exposure levels are lowered and employers begin making a serious effort to keep workers safe from harmful levels of noise.